Family and friends will gather at the church between 11:30 AM and time of the Memorial Mass at 12:30 PM. The drive to help others and improve her community one little bit at a time was an essential element that defined Susan.  This led her to her dream of always wanting to be a nurse. From helping to deliver high-risk infants to baking cakes for the parish fish fry, she made her small corner of the world a better place. Her story began in those years after the Second World War, as the long years of austerity gave way to a new age of unprecedented prosperity. The first of four children of Lawrence and Bettie Gerew was born on March 5, 1948 in Rochester NY, and her early life was in many ways typical of the “Baby Boomers” who would in time reshape America. Her father was a grocer not long returned from the Army and a stint in Europe, while her mother tended to the home. Within a few years they left urban Rochester for the winding roads of suburban Henrietta, to be joined in time by two sisters, Nancy and Ann, and finally a brother, Larry. 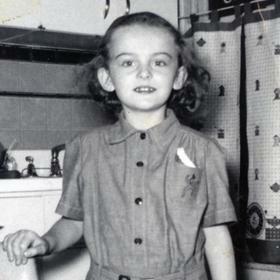 Here she excelled in many fields, in school, the Brownies/Girl Scouts, and at home. 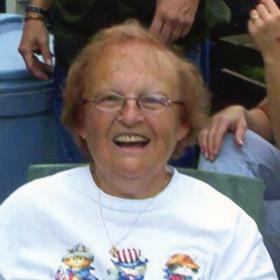 Her siblings called her the “Mother Hen”, as she led in activities such as staging basement plays (the stairs were the seating for the audience) for family and neighborhood kids. The future nurse volunteered as a camp counselor and church, and pushed herself vigorously at school, especially in the scientific subjects. Her goal in high school was to finish in the top ten in a class of 650. In the end Susan came in at number 11, and her family beamed with pride as she became the first of her family to attend college. She applied and was accepted to Milwaukee’s Saint Mary’s School of Nursing wanting not only the education but the chance to live away from New York state. Milwaukee was home to her Uncle and his family so connections and support were not far away. 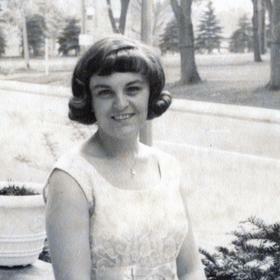 She was a part of what turned out to be the last graduating class (1969) of St. Mary’s before its closing. 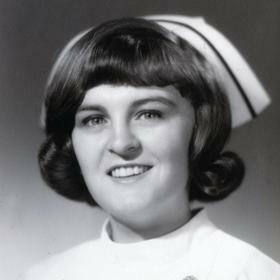 Susan, as a nursing student at St. Mary’s School of Nursing in her second of three years met her future husband, Robert in January of 1968 at a college Saturday night dance at the University of Wisconsin – Milwaukee Student Union Ballroom. With both being students and Susan’s drive for educational success remaining paramount, they decided to start seeing each other, ultimately this growing into a lifelong of togetherness. Sharing days with walks, talks and just plain time together since money was hardly in abundance. Occasional trips to Chicago coupled with Milwaukee’s Festivals, then just beginning, but always her education came first. They dated for over a year and a half until the draft took Robert Army bound and that time away cemented their love. Both having graduated and Robert being home on leave, they were married just prior to Christmas, 1969. Soon moving to Providence, Rhode Island, near Robert’s first duty station in Bristol, R.I., they found a small flat which Susan changed from a mere glorified mini-apartment to their “first home”. Their first son, William, was born there in Providence just shortly before Robert’s leaving for Vietnam. Susan and “Billy” spent that next year back in her birthplace of Rochester N.Y. to be near family while also working at a Rochester hospital. August of 1971 brought them all safely back together and they moved back to Milwaukee, to a small apartment near 6th and Mitchell. Happy times ensued, Billy scampering all over the place, successful job hunts for both and most of all, a settling down to married life, joining St. Stanislaus Parish, and their first car, (a stripped down ’66 Valiant) all coupled with community roots being sprouted. Life went forward to their first house a couple of years later, an 800-square foot tiny two bedroom house, but most important, it was theirs. Susan also turned that house into a “home”. Years rolled by, and there was a move to a bigger and nicer Bay View home of three bedrooms. In 1979 their second son, Michael, made his appearance. Susan held her work schedule to but three days a week to better dote on the boys. Summers included trips to “Gram’s up north cottage”; return annual visits to Rochester for family time and the like. With the move to Bay View, the move to St. Augustine of Hippo parish was made of which Susan’s been a member for just short of forty years. She served on Parish Council, the Ladies Society, and other functions such as the church’s annual festival. Years fly and by 1992 another move was made to the far south side “dream home”, where she lived for the remainder of her life. Both sons graduated from St. Augustine Grade School, followed by graduation from St. Thomas More HS and on to college. With both boys now on their own, life took on a more sedate tone with annual motor camping trips all over the U.S and into Canada. Breast cancer was beaten back in 2000 like but a speed bump in life. Grandkids, Corey and Jeremy, appeared in the ‘90’s to be doted upon and a retirement was in view. After 25 plus years at St. Joseph’s Hospital Labor and Delivery Obstetrics unit, (nearly 40 years of nursing total) Susan retired in December of 2007. Parts of the home were expanded and remodeled, gardening of both flowers and veggies came into play. 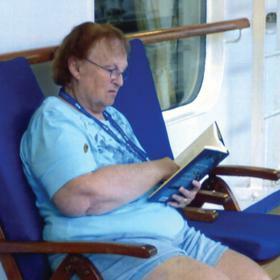 Then a new passion appeared as the fruit of retired life: ocean cruising. In the past six years, she and Robert have cruised large parts of the world, including East to Europe multiple times; North to Alaska also numerous times; South to Samoa, Tahiti, and Panama and West to Hawaii. Susan also traveled with Michael on a few vacations including one to Great Britain and with Bill’s family on various Disney vacations, both at the parks and with the Disney cruise line. Susan also was the glue that kept the extended family together with who was doing what and when. She knew everyone’s birthdays and anniversaries and ensured that cards were always sent out on time. She also made a point of attending all her nephews and niece’s weddings over the years no matter where they were. Other items that she is remembered for, is her love of the Christmas season. The house was always decorated like a Christmas store at Southridge Mall, often with TWO FULL size trees with different themes. Not an inch of the houses didn’t have some Christmas knickknack displayed about. We lost count years ago the number of boxes and crates that stored all of this down in the basement crawl space. Tying back to her religious values though, the Nativity was always central to all to remind everyone that the real reason was the celebration of the birth of Christ. Hobbies included a lot of needle point that is displayed in frames all over the house. Later in life she began collecting Cherished Teddies. Her collection grew to over 100 figurines. It was not just Cherished Teddies she collected, but also teddy bears, which are scattered everywhere in the house. Crossword puzzles and shopping were other activities that you would always find her doing. Life was good as it should be, and then the ugliness of pancreatic cancer appeared in early 2017. It’s the toughest cancer to beat but she fought back with chemo, radiation and ultimately surgery. She fought bravely and to the end, kept fighting. Susan Seeber lived a full, but not long enough life that put her family and church first and should be remembered as one that was an “uberplus” to society. She gave so much more than she ever asked back. A fine Christian woman, a great mother, enthusiastic Grandmother, and a wonderful wife. She will be missed by all, but will be with us still in so many ways. Seeber, Susan M. (nee Gerew) Passed away peacefully at home November 7, 2017 with her family and rosary beside her and Irish music playing softly at the too soon age of 69. Born March 5, 1948 to Lawrence and Bettie Gerew (Moulton) of Rochester, NY. Survived by husband Robert of nearly 48years; sons William (Christine) and Michael; and grandsons Corey and Jeremy. Further survived by brother Lawrence (Faith) Gerew and sisters Nancy (Richard) McMillen and Ann (Rob) Woodbridge. Also survived by Aunt, nieces, nephew and many friends. Visitation on Friday, Nov. 17 from 5:30 to 8:30 at the Funeral Home and Saturday, Nov. 18 from 11:30 to 12:30 prior to a Mass of Christian Burial at St. Augustine of Hippo Catholic Church, 2530 S. Howell Ave. Subsequent private burial at Spring Grove Cemetery, Delavan, WI. In lieu of flowers, memorials to the St. Augustine of Hippo Parish in Susan’s name, deeply appreciated. 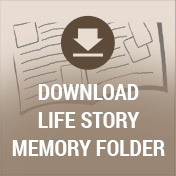 Niemann Suminski, Life Story Funeral Home, 2486 S. Kinnickinnic Ave, 414-744-5156.